Why access using IE browser and access using Windows explorer of INetCache folder shows different folder structure on WIN8.1-IE11? Why folder structure differing in above 2 cases, even though both are referring to the same physical location on Windows 8.1, IE11 Browser ? 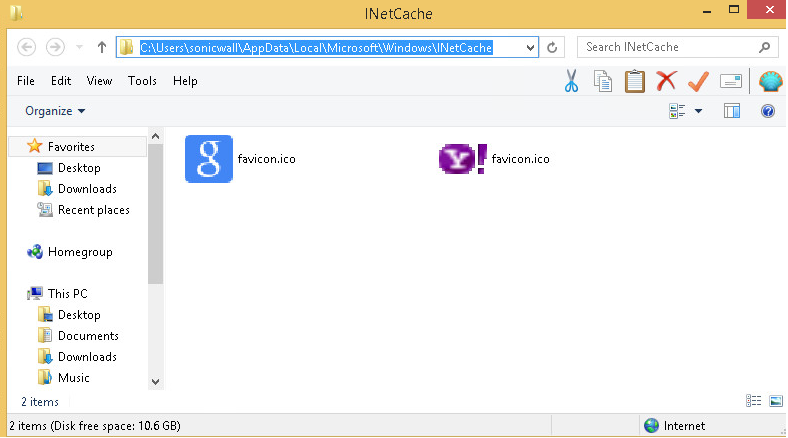 I need to write a script which clears this INetCache folder contents(Cache). But not able to get the exact content of this folder. Because it always refers to Folder which contains Low(folder), Virtualized(folder) and counters.dat(file). In my script I want to refer the folder which contains favicon.ico files. The same behavior is observed on IE10-win7 and IE11-win7 as well, while referencing Temporary Internet Files. Use GPO (Start>Run>gpedit.msc) to configure user profiles on a domain network to empty the TIF(s) on exit from the browser. Not the answer you're looking for? Browse other questions tagged ruby windows caching internet-explorer-11 folder or ask your own question. 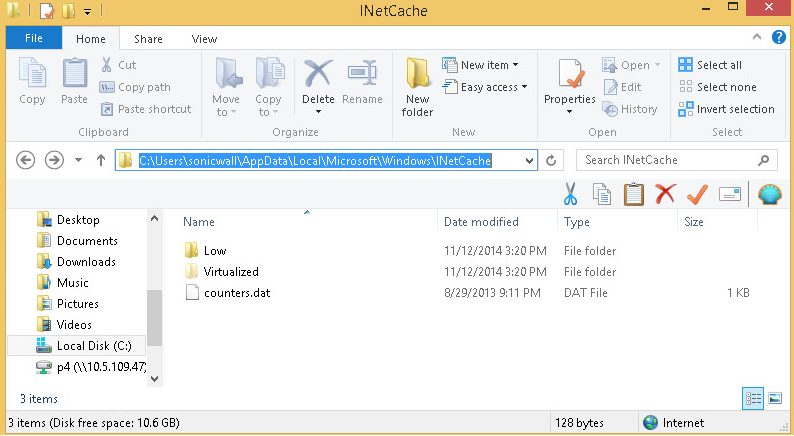 Why can't I delete the contents of the 'INetCache' folder from the command prompt?